Darren Jones was elected MP for Bristol North West in June 2017 securing 51% of the vote. Born at Southmead Hospital, Jones grew up in Lawrence Weston in the 1980’s and 90’s. After university in Plymouth, Jones worked in the NHS, including at Southmead Hospital. Jones completed his legal studies in Bristol before qualifying as a telecommunications and technology solicitor. During the EU Referendum campaign, Jones was the National Chair of a group of young lawyers campaigning to Remain. Jones remains passionate about the EU and stopping or mitigating a hard Brexit, whilst protecting jobs, is his number one priority during the Parliament. Jones has a strong interest in technology, the digital economy and the future of work. 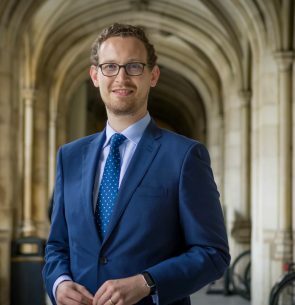 Jones is a practicing vegan and has championed the maintenance, and extension of, EU animal welfare rights and environmental policies in the UK post-Brexit.